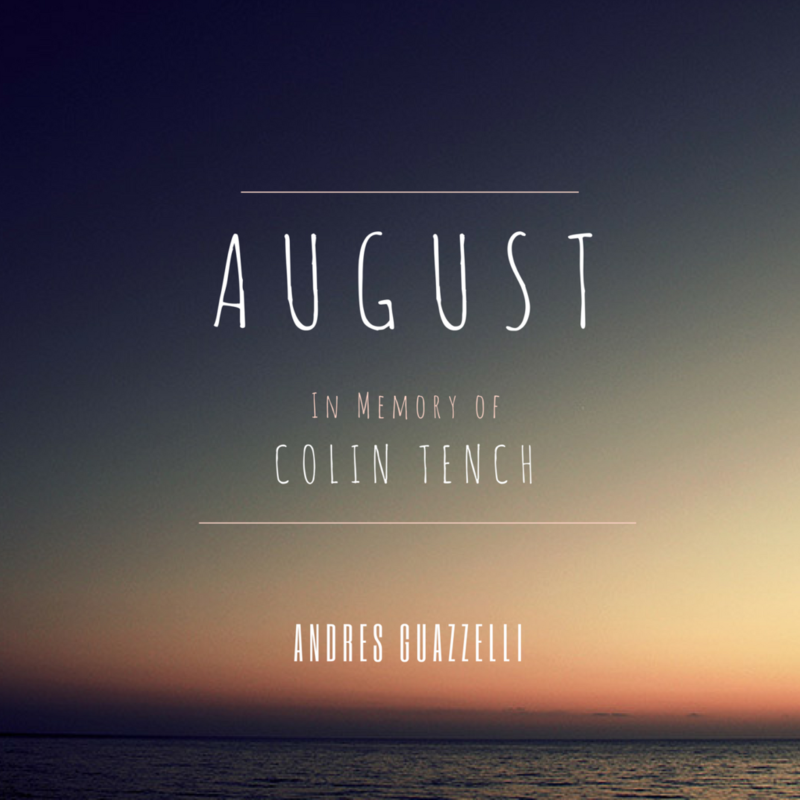 “August (In Memory of Colin Tench)” is the first single from Andres Guazzelli‘s forthcoming album “World Citizen,” scheduled to be released on February 3, 2018, via Melodic Revolution Records. Inspired by the works of Astor Piazzolla, Brian May and John Williams, “August” combines the graceful yet passionate sound of the piano with the brooding melancholy of the bandoneón to craft the perfect blend between a jazz ballad and Argentine tango. A haunting and poignant piece of music, “August” is a musical journey through the five stages of grief. The five stages, denial, anger, bargaining, depression and acceptance are a part of the framework that makes up our learning to live with the one we lost. Clocking at 2 minutes 41 seconds, “August” is Guazzelli‘s shortest piece to date. 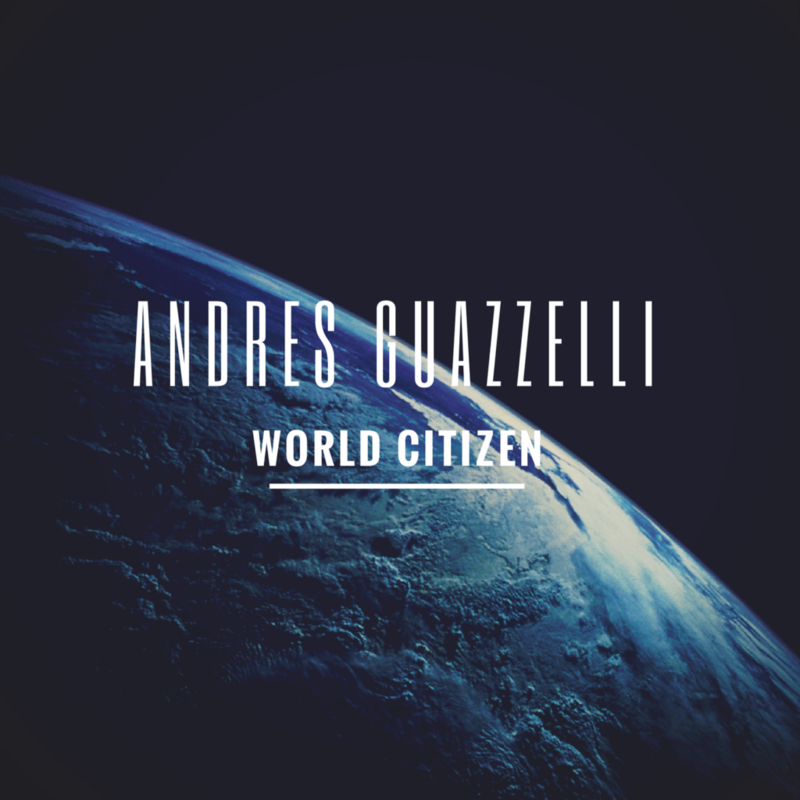 “World Citizen” is Andres Guazzelli‘s first long-playing album, following his debut EP “Wish You Could Hear“. Following the decision to put “Wötan: The Untold Story” on hiatus, Guazzelli embarked on a sonic experimentation journey, expanding his compositional style away from orchestral and cinematographic and more towards a more straightforward and lyrics-driven style. Thus, “World Citizen” was born. The album is a clear showcase of Andres‘ paradigm change regarding his compositional style, straying away from sheer progressive and symphonic rock and venturing deeper into a more Argentinian folkloric-based music. Never fully leaving his progressive roots, Andres allows himself to incorporate native folkloric instruments such as the bandoneón, bombo legüero, and quena while borrowing elements, cadences and sounds from Argentine tango, chacarera, and zamba. The album features 11 tracks, four of them being instrumental, and its main theme revolves around equality, environmentalism, the communion of races, creeds and religions and the unification of the human race as a whole. “August (in memory of Colin Tench),” the first single from “World Citizen” was released on February 3, 2018, via Melodic Revolution Records. Clocking at 2 minutes 41 seconds, “August” is Guazzelli‘s shortest piece to date. Its following single, “Humanity,“ is scheduled to be released on April 7th. The full album will follow soon, expected to be released around August 2018.